Russia made an agreement with the US and then in September 2015 in the aftermath of Russia’s direct engagement in Syria, hundreds of Muslims were massacred and thousands were wounded. But on 24th November 2015 Turkish Jets shot down a Russian fighter that was bombing Syria and trespassed Turkish airspace. 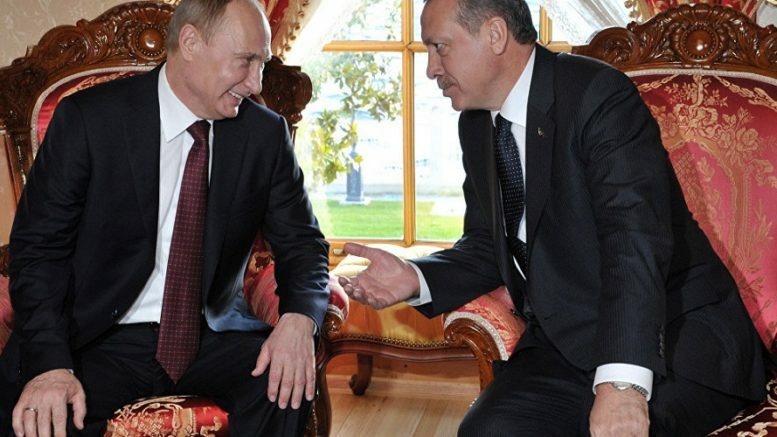 After this relations between Turkey and Russia were frozen. Turkey filled in the coalition that was formed under the pretext of ISIS with de facto support of jets thinking that Russia would respond. In the end these developments weakened the coalition between America-Russia-Turkey-Iran which are the most effective nations on the subject of Syria. Shortly after the Turkish committee’s visit to Russia on 12 August Secretary of State of Iran Zarif visited Turkey and their main topic was Syria. In the combined Press Conference both sides used this statement, “We have agreed upon the main principles and the territorial integrity in the solution of the Syrian crises…” Afterwards Russian Deputy Secretary of State Mihail Bogdanov, stated that Russia, Iran and Turkey may recently make a three way meeting on the subject of Syria. All these developments show us that the US and Russia came to another agreement on Syria and that they would like to include Turkey and Iran in a more effective position. The objective is to end the Islamic struggle that has been continuing for the last 6 years and to reinstate their evil plans. No doubt the solution of the Syrian crises won’t be with America’s plan nor Russia’s plan. Turkey can never bring the Syrian crises to an end by opening its airspace and bases to the US, and Iran to Russia and by establishing cooperation in military, intelligence and foreign affairs and by direct engagement. On the contrary they would be responsible for the massacres of the Muslims. If Turkey is going to take a side, Turkey should stand beside the Syrian people and the Mujahedeen. No doubt what we saw in this process has shown that Allah is beside the Syrian Muslims and is opposed to the Kuffar. The most recent example on this is that despite all impossibilities in Aleppo, the breaking of the siege of Aleppo with the help of Allah سبحانه وتعالى and the opening of other areas. Next PostIs China’s Starting a “Central Asian NATO”?